"Milky Way Snowflake Soap Mold"
COMMENTS: Added this mold to my newest holiday soap mold collection. I made 2 dozen soaps with ease. No complications. So easy to use. I added a few drops of sodium lactate to melt and pour base - soaps literally pop out without much if any, effort. "Makes a nice tart mold for winter!" COMMENTS: Spray these with a vegetable spray and sprinkle a small amount of glitter in before pouring cool soy in them and the tart slips right out easily. I think they will be a hit this winter season! "Great for melt and pour"
COMMENTS: I love the ease of use of this mold. Great details and simply gorgeous!!! COMMENTS: Adorable cavity mold for the holidays! Love the size. Seemed to fit about 3-3.5 oz of M&P. A little hard to pop out of the molds but that goes for any plastic cavity mold with M&P. COMMENTS: The detail on the snowflakes is absolutely beautiful!!!! My only disappointment is that the plastic didn't hold up as well as I'd hoped it would. However that will not so me from buying more. May beautiful snowflakes!!!!! COMMENTS: Melt & Pour soaps pop out of the mold with very little stress. Added glitter to the color of the soap snowflakes - made impressive soap gifts for Christmas. • molds clean up nicely. • would not change a thing. COMMENTS: Nice mold although a bit difficult to unfold the soap. I did put it in the freezer and then it was easier. Nice detail and was worth the price. 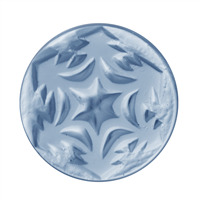 "This snowflake soap mold is awesome!" COMMENTS: I LOVE this snowflake soap mold. I use it for soap gifts at Christmas, and everyone raves about it. 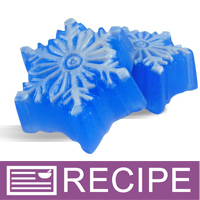 I make it with white soap base, and swirl a few drops of blue liquid color to give it a snowflake effect. I've had this mold for more than 5 years, have used it every winter, and it's like brand new. I couldn't be happier with it. COMMENTS: I like this snowflake. It's a good size, a cute design and has great holiday appeal. I love a mold that looks good in plain white soap too. 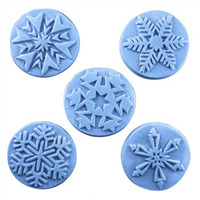 COMMENTS: These make cute snowflake soaps, perfect for Christmas and winter season! 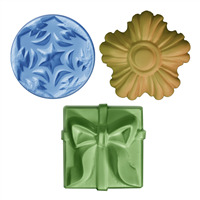 COMMENTS: I wanted this mold for the multi colored snowflake soaps. Think they're beautiful and will be a great seller this winter. Purchased this on sale well ahead of time. Being it is a Milky Way mold, I know I can't go wrong. Love their molds. COMMENTS: Nothing better then a snowflake mold for Christmas. COMMENTS: My most used mold of the season!!! You can't mess it up with this mold-even your kids can't mess it up...very forgiving design and beautiful! COMMENTS: This is a great mold! It makes beautiful and very nice sized soaps. Great with a little opal glitter in the base and in the bottom before pouring. COMMENTS: This mold is so easy to use. It can be de-molded without putting it in the freezer. Customers love it. Dust with a touch of mica for a sparkly effect. 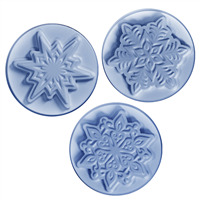 COMMENTS: This snowflake mold is an absolutely wonderful soap mold. It is one of our best sellers for Christmastime. We use a white base and a peppermint fragrance. COMMENTS: I just love this mold! I made blue glittery mp soap with first snow fragerence (awesome-awesome scent) and they came out so pretty. Detail holds wonderfully - great buy! COMMENTS: Very pleased with this mold. With a little glitter, it makes a very beautiful, elegant soap, and is very easy to make. Very popular among customers. I just love it!!! COMMENTS: I WAS VERY PLEASED WITH THIS MOLD, IT IS VERY PRETTY AND PEOPLE ARE ALREADY PLACING THEIR ORDERS FOR CHRISTMAS BARS! 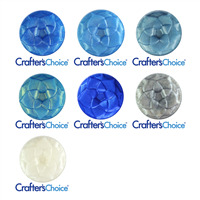 "can i use althea molds w CP soaps. I noticed everyone who used them was only doing melt and pour. do they do just as well w cp soaps??"